but non-reproducible by science, which tends to fragment nutrition. ​the complete energy pattern of the food that brings another quality and power to it." who lost more than 150 lbs. with a raw food lifestyle. ​See the free PDF below. See the "What is Gluten?" article end of this page. 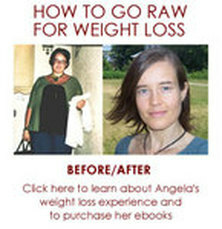 How to Go Raw for Weight Loss / FREE PDF. For example, the amylase in human saliva is thirty times more abundant in the average 25-year-old than in the average 81-year-old. The total enzyme level in young beetles is twice that in old beetles. Fruit flies, grasshoppers, and rats all have more enzymes when they are young. After chronic disease in humans, the enzyme content is depleted. Raw, natural foods come loaded with the active enzymes needed for much of their digestion. They are released the moment we begin to chew and break down cell walls in the food. This is similar to the finding that unprocessed carbohydrates such as grain and raw sugar cane have the right amount of chromium to act as a cofactor in their assimilation. This is important because of what Dr. Howell calls the “Law of Adaptive Secretion of Enzymes,” which means that enzyme energy goes where it is needed in the body. Dr. Howell believes that enzymes represent a certain amount of energy as well as an actual amount of enzyme molecules. If less enzyme energy is needed for digestion, there is more available to enhance other bodily processes. For example, if we are injured or sick, we often experience a drop in appetite because the primary need for the enzyme energy is for fighting the illness and for bodily repair. ​There is strong evidence that the excess enzymes released from live foods or even from enzyme supplements, can be absorbed into the system to increase our enzyme content and energy. In this way, a live-food diet can actually add enzyme energy and material to the system.There are three main methods, on the physical plane, for maintaining or increasing enzyme energy in the system: eating a live-food diet, adding enzymes as supplement, and fasting. The result of conservation and an increase of enzyme energy in the digestive area is that more enzyme energy is available for our vitality, body detoxification, metabolic function, dissolution of scar tissue and crystallized deposits in the tissues, digestion of excess fatty tissue, and regeneration. This increased vitality and healthy make more energy available to be present in our spiritual lives and more available to be transmuted into spiritual energy. This is one way live foods enhance spiritual life. Although certain illnesses can be turned into an important spiritual growth time, it has been the author’s general observation that people with low physical vitality have less energy available for their spiritual focus. This energy is reflected in the functioning of each cell, and the electrical field of the cells maintains the integrity of the biological system. We can think of the electrical luminescence in the Kirlian photography as a measure of life force in the cell. The stronger the life force of the cell, the stronger the electrical luminescence we see in the Kirlian photography as a measure of life force in the cell. 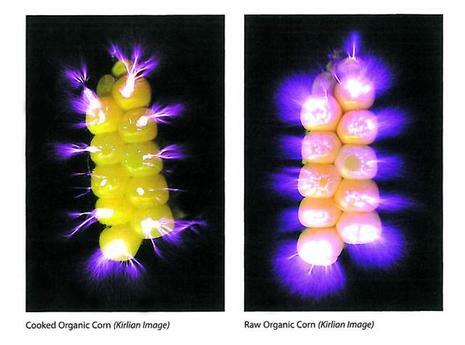 The stronger the life force of the cell, the stronger the electrical luminescence we see in the Kirlian photography. In essence, the electrical luminescence represents the pictorial sum of the electrical potential of each cell. The obvious conclusion is that the healthier our electrical potential of each cell in the tissues, the healthier we are. Dr. Joanna Budwig from Germany, who has degrees in medicine, physics, pharmacology, and biochemistry, is one of the first researchers to combine an in-depth knowledge of the quantum mechanics and physics with an in-depth knowledge of human biochemistry and physiology. From this lofty scientific position, she has concluded that not only do electron-rich foods act as high-power electron donor, but they also act as solar-resonant fields in the body to attract, store, and conduct the sun’s energy in our bodies. She theorizes that the photons of the sunlight, which she calls “sun electrons,” are attracted by sun-like electrons resonating in our own biological systems, especially in the double-bonded electron cloud found in our lipid systems and in the omega-3 fatty acids such as we get in flax seed. Dr. Budwig feels that processed foods may even act as insulators to the healthy flow of electricity. In other words, the more we take in solar electrons as a result of our dietary intake of live foods, the better we are able to resonate, attract, and absorb solar electrons in direct resonance from the sun and other solar systems. Our health and consciousness depends on the ability to attract, store, and conduct electron energy. The greater our store of light energy, the greater the power of our overall electromagnetic field, and consequently the more energy available for healing and maintenance of optimal health. Max Planck Institute for Nutrition Physiology in Germany has found cooked proteins have only 50 percent bio-availability, compared to uncooked proteins. In general, it can be said that cooking foods coagulates the bioactive protein chelated mineral forms (changes their molecular structure so they cannot function properly) disrupts RNA and DNA structure, and produces free radicals in fats and protein. Cooking also coagulates the bioactive mineral and protein complexes and therefore disrupts mineral absorption. Cooking oils destroy most of the nutritive fats that we need, such as the omega-3 fats; this often creates carcinogenic and mutagenic by-products. This showed that the heating of carbohydrate-rich foods (potatoes, rice, cereals) creates a by-product called acrylamide, which is a probable human carcinogen. The research found that a bag of potato chips can contain up to 500 times more acrylamide than is allowed in drinking water by the World Heath Organization. French fries sold at McDonalds’s and Burger King in Sweden showed 100 times the level permitted by the World Health Organization in drinking water. Acrylamide, which has been found to cause benign and malignant stomach tumors, also causes damage to the central and peripheral nervous system. Paul Kouchakoff, M.D., presented that if a food was commercially processed and then cooked, not only did the white blood cell number increase, but there was a change in the ratio of the different white blood cell types to each other. According to Kouchakoff, the critical temperature for initiation leukocytosis when heating food is approximately 191°F, for thirty minutes. The highest temperature he found before the leukocytosis occurred was with figs at 206°F. Interestingly, the leukocytosis needed as little as 50 milligrams of cooked food to be initiated. An additional finding that should be of interest and relief to some was that if people ate live food with cooked food of the same type, in a 50/50 ratio, the leukocytosis did not happen. He also found that this was true for a mixture of cooked foods and live foods that were not the same, as long as the critical temperature change point of the live food was higher than that of the cooked foods. Dr. McCluskey, in another Lancet study report, found that constant irritation of the throat and tongue by hot foods, hot beverages, and alcohol was associated with increased cancer of the throat and tongue. He suggests that we dip our little finger in the hot drink for ten seconds. If it is not scalded, then we can go ahead and drink. The other extreme is that iced drinks and cold foods can slow down enzyme function and peristaltic action. We have the choice to be harmoniously moderate, eating and drinking foods at room temperature, or at temperatures no hotter. Why does the live-food diet give us the best effect in terms of decreasing our caloric intake and maximizing the quality of our food intake? The point from basic nutrient mathematics is that by eating live foods, we are able to get complete nutrition by eating 50 to 80 percent less food. The first category he called biogenic. 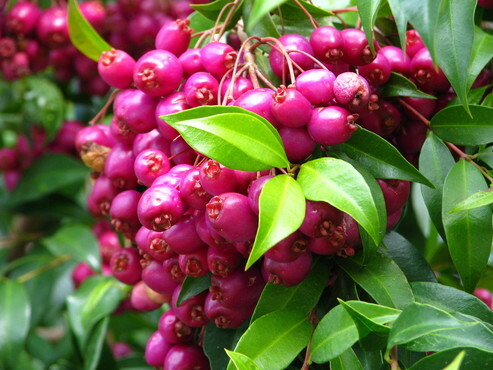 These are the most life-generating, high-energy foods. They are alkaline producing and energy charged. They are high in enzymes, predigested complete proteins, chelated minerals, nucleic acids, vitamins, RNA, DNA, and B12. 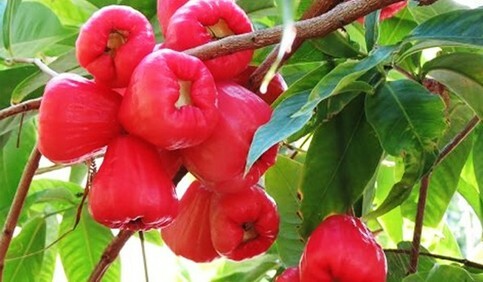 These foods, he found, regenerate and revitalize the human organism. In this category, we have all sprouts – soaked and germinated nuts and seeds, sprouted grains, and legumes, as well as the sprouted young wheat grass and other grasses eaten whole or juiced. Sprouting is not a new development. Not only did the Essenes use this technique, but the history of sprouting goes as far back as 3000 B.C. in China with the recorded use of bean sprouts. These are our cooked foods and foods that, although raw, are no longer fresh. The fourth category he called bio acidic, or life-destroying foods. These are foods that have gone through many processes and refinements and are full of additives and preservatives. They rapidly break down life function. Not only do they allow us to eat less food, but activate our natural inheritance, which is the most optimal activation of youthing gene expression. When we nourish ourselves with live food, we have the most potent diet for maintaining health and well-being and activating spirit that is available on the planet. ​Live foods, from this perspective, not only turn us into super energy Beings on the physical level, but superconductors of both electrical energy and cosmic energy. In this way, they help us enhance our sensitivity to the Divine. Gluten is a type of protein found in wheat, barley, rye, and numerous other foods containing or made from these ingredients. Gluten can also be found in many non-food items, such as medicines, lipstick, and stamp adhesives. Why Should I Follow a Gluten-Free Diet? 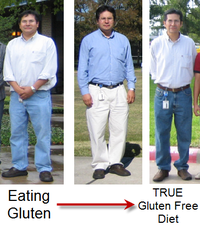 If you have gluten intolerance or celiac disease , your body is unable to digest gluten. Consuming gluten may result in symptoms such as cramping, bloating, gas, and diarrhea . The only treatment is to eliminate gluten from your diet. Following a gluten-free diet can reverse any intestinal damage and nutrient deficiencies that may have occurred as a result of consuming gluten. On this diet, gluten must be completely avoided, as any amount of gluten can cause damage to the small intestine. Learning how to eat gluten-free can be challenging, since gluten is found in many so-called “staple foods,” such as cereals, breads, and pasta. Moreover, gluten is often found in unsuspecting foods, such as frozen yogurt, soy sauce, and beer. Fortunately, there are many gluten-free alternatives, making it possible—with a little practice and help from a registered dietitian—to still eat a well-balanced, satisfying diet. When shopping for foods, it is easy to become overwhelmed by all the available food products and figuring out which are gluten-free. It helps to begin with loading up on fresh foods that are naturally gluten-free, such as fruits and vegetables, milk, unprocessed cheese, meat, poultry, fish, eggs, legumes, nuts, and tofu. Then, add gluten-free sources of grain, such as rice, corn tortillas, and grits. These foods should be the staple of your diet. You can then supplement with snack foods, sweets, condiments, and special gluten-free items. When choosing food products, be sure to read the labels carefully. In the US and Canada, food manufacturers must list whether a product has any of the most common allergens, including wheat. Until recently, people with gluten intolerance were advised to avoid oats. But recent research shows that uncontaminated oats are generally well-tolerated when consumed in moderation. Regular, commercial oats are often contaminated with gluten-containing grains. Pure, uncontaminated oats, though, can be specially ordered from certain companies. Before adding oats to your diet, be sure to discuss it with your doctor. Focus on foods that are naturally gluten-free, such as fresh produce, fresh meat, poultry, seafood, eggs, milk, nuts, and cooking oils. Always read the ingredient list to make sure the food does not contain gluten. When eating out, ask about ingredients and food preparation. Avoid cross-contamination with gluten-containing products when preparing foods. Work with a registered dietitian to create a well-balanced gluten-free diet.